Hygiene – As we mentioned above, most people don’t really clean their feet as thoroughly as they should. A pedicure will address that. If you get the procedure done regularly, your feet will be clean and free of germs, reducing the chances of foot problems and diseases. A professional pedicurist will keep your nails properly trimmed, clean all areas of the feet, including the space between your toes and by the nails, and get rid of bacteria and germs. Proper Trimming – When you cut your toenails, you probably cut it along the curve, cutting as close as you can to the skin. That’s that wrong way to cut. You need to trim the nails in a straight, square shape. This would reduce the chances of problems like ingrown nails and hangnails, and keep infection at bay. With proper trimming, you feet would look good as well. Cracks – Feet are prone to cracks and other such problems because they lose moisture quickly. They need more intense moisturizing than any other part of your body so naturally, your regular moisturizer just won’t do. A regular pedicure will address this issue. The pedicurist will address problems like dry and cracked heels and keep the skin of your feet soft and supple. This is also a good way avoid infections. Early Detection – Pedicurists know feet. They can spot signs of infections and other such foot problems immediately. They’re trained to spot any unusual signs on your feet when they inspect it during the pedicure. That would help them detect things like fungal infections, corns, bunions, etc. As you might know, catching these problems early would make curing them easier. Calluses – Feet are prone to develop calluses, which can be a problem and mar the beauty of your feet. A pedicurist will address the problem and stop it before it can grow worse and start to bother you. As you can see, pedicure is great for your body and its health. 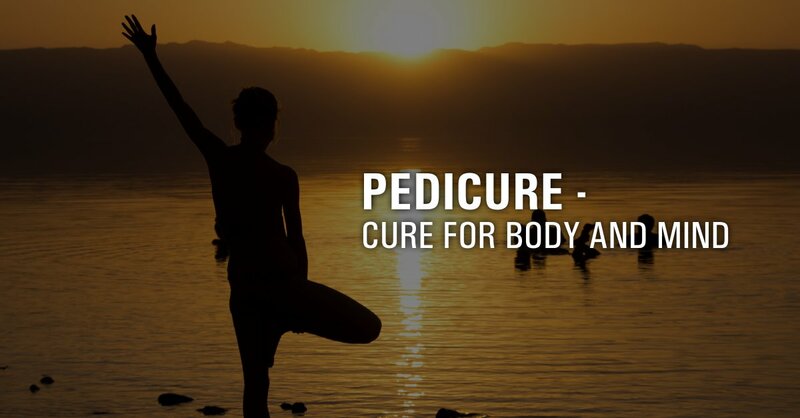 A regular pedicure won’t just keep your feet looking pretty, but also keep it healthy. Stress Relief – One of the biggest advantages of a pedicure is the fact that it’s supremely relaxing. You can sit back and enjoy the skilled massage your pedicurist is giving you. Even soaking tired and aching feet in warm water will drain the stress right out of you. Pampering Yourself – People don’t really take good care of themselves these days. They’re so focused on their career and their personal life that they don’t allow themselves to shed the responsibility for a moment and relax. The pedicurists will allow you to forget the world outside your pedicure chair for a moment. You can pamper yourself and let go of your cares for a couple of hours. If you have any questions about nail salon furniture or want to know more about pedicure products, you’re free to contact us at Pedi Source. Just give us a call at 1855 429 PEDI. You can also email one of these two email address with your questions and contact details: [email protected] and [email protected].